Have you ever wondered why America seems to be more against Christians and Christianity these days? We see it in the news, we hear it in church, we see and hear about it on Christian TV and radio; everyday, there seems to be another group or segment within our society that is challenging Christian beliefs, with a determination to snuff out all the traditions of Christianity. They call us haters, hypocrites and judgers. Let’s be honest about it. Something has gone hay-wire in the way the rest of the world sees us. I think that it’s time that we stop taking the easy road by blaming simply blaming society for how they feel about us. Instead, maybe it’s time that we take a closer, more honest look at ourselves. Most people truly long to leave a positive impact on this planet. In order to do that, we must put ourselves in society’s shoes and look at how In response to society’s anger, we as Christians have a tendency to get angry right back at them. We choose to picket. We choose to call out our society’s immoral conduct, pointing out how bad they are. We choose to stand our ground by deciding that we must separate ourselves from these “sinners”, because they don’t behave the way we do. We choose to name-call in return because they attack us and call us names. All I can say is, no wonder they don’t like us. Jesus was called a friend to sinners (Matthew 11:19). Instead of focusing in on their immoral behavior making sure they understood just how how bad they were, He instead chose to spend time with them and simply love them. For example, when Jesus visited with Zacchaeus, a tax collector whom the church considered a sinner, nowhere does it mention that Jesus gave Zacchaeus a sermon about behavior modification. Instead, Jesus simply spent time with Him and told the man about Himself. As a result, not only did this man have an entire spiritual transformation through Jesus, but he also vowed to give back all that he had ever stolen, and more (Luke 19:2-10)! Let’s consider the woman who was caught in adultery. As the angry crowd was ready to hurl stones at her until she was dead (these were church folks with rocks in their hands, by the way), Jesus reminded them that there was not a one of them who didn’t have sin in their own lives. Realizing that they did not qualify to condemn her, she found herself standing before the one person who was qualified to condemn her – Jesus. But instead of judging her, he said, “Neither do I condemn you;” And because she was at that moment freed of condemnation from Jesus, the ultimate Judge, she was then empowered to do what He said to her next; “go and sin no more” (John 8:3-11). That’s what Grace (Jesus) is really all about! Even at the cross, Jesus chose to love and forgive those who were involved in killing Him, even as they hurled insults at Him while he bled to death on the cross (Luke 23:34). My fellow Christians, let’s take our cues from Jesus. He didn’t walk around reminding people of how bad they are and how desperately they need to change their lives. The truth is, people are very conscious of their sins, whether they admit it or not. The last thing they want is someone in their face pointing out the obvious, making them feel even worse about themselves. Jesus gave us two simple commandments (which are to replace the original 10, by the way). They are: 1) To believe in Him, and 2) To love others as He has loved us (John 15:12). That means, to love and forgive others with unconditional grace, no matter what they have done, or what they are currently doing. It’s time to introduce grace back into the church. The true gospel is the “almost-too-good-to-be-true” Good News that we have received grace from God, by believing in His Son Jesus. No matter who you are or what you’ve done, or what you are currently DOING – God’s not mad at you anymore. He just wants you to believe that Jesus made a way for you to be free from condemnation, guilt and shame. Once you truly receive that, you can then have peace with God, and eventually become free from any sin that might have hold of you. As Christians, let’s make up our minds that we’re going to stop being angry at society. Let’s just focus on the two commandments that Jesus gave us, and share with everyone just how amazing He is. “You catch more flies with honey than you do with vinegar.”, after all (Charlaine Harris). I’ll bet that if we could do just those things, we would no longer find ourselves being attacked by society. Instead, we could finally be the light of the world, like we’re supposed to be. This entry was posted in Coaching on April 25, 2015 by kHHz9uqIE4UG. Are You a Servant – Or a Son? Many times, we hear Christians talk about how they “serve the Lord”. We also hear that when we become Christians, we must not only make Jesus our Savior, but also our Lord, which is another way of saying “Master”. At the same time, we also believe that we are children of God. So which is it – are we servants, or sons? As Christians, it’s time that we stop being double-minded. 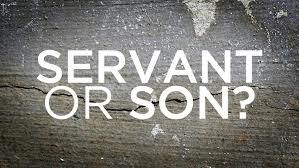 Are we sons and daughters of God, or are we servants? Have we already received God’s abundance of grace (Romans 5:17), or do we have to continually work to deserve good things from Him? What kind of Father do we think we have? Is He a good Father who takes great pleasure in giving us good things? Or is He a harsh and stern Father who wants us to suffer “for our own good”? It’s time to settle this in our minds once and for all – after all, how can we ever make a difference in the world when we are not even sure of our relationship with the One who has created us to make a difference? The Bible refers to us as God’s “little children” (I John 5:21, Galatians 4:19, I John 2:12, I John 3:7, I John 3:18, Matthew 18:3). Little children are not supposed to serve their parents. The job of parents is to serve their little children. In fact, my husband and I just spent two days looking after our 20-month old grandson Noah, and believe me, not once did he bring me a glass of water, fluff my pillow for me, or rub my feet. But, I did do all of those things for him! Why does this matter anyway? Because someone who is a son can expect quite different outcomes from a person than someone who is a servant. When a servant does wrong, she can expect to have something withheld, or even worse, experience punishment. The child of a Good Parent, on the other hand, could expect to be gently corrected when she does wrong, but would never be concerned about losing her position in the family. That is what grace is all about, after all. The pure, unadulterated gospel is completely about God’s grace given to us, through his Son Jesus. These scriptures make it clear that the gospel is grace, that grace is Jesus, and the gospel is all about Jesus! The true gospel of Jesus declares that God is not mad at you. He has given you blessing, favor and goodness that you did not deserve, do not deserve, and will never deserve. He has freed you from the requirements that say you must earn goodness. Jesus paid for all of it already. Because of this, you are now a bonafide child of God. Accept your true position as a daughter of the King, and expect good things from your great Father! This entry was posted in Coaching on April 18, 2015 by kHHz9uqIE4UG. Do You Qualify for Greatness? Have you ever disqualified yourself from doing great things because you believe that you are not worthy of God using you? I believe that some of today’s religious teachings have actually held us back from doing great things, too often because we don’t feel that we have earned God’s approval. Here’s what I mean…I can’t tell you over the years how many talented and gifted people I have seen rotate through the revolving doors of church. One minute you see them in church every time the doors are opened, and then suddenly, they become MIA for weeks and months on end. 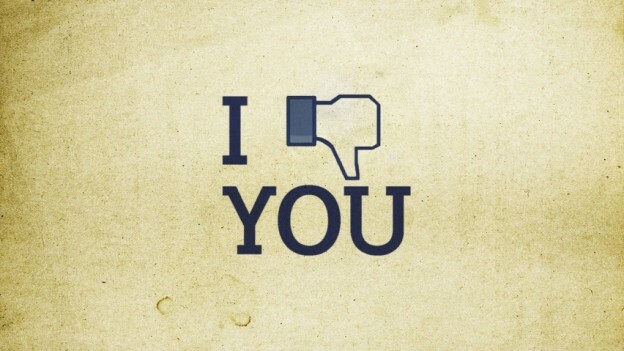 Do you know people like that? Religion is quick to blame that person, labeling them as “uncommitted” or “backslidden”. The fact is, however, that many of these people are so hungry to live in harmony with God, and to live out their God-given purpose. In my opinion, one reason we see people giving up – on God AND on church – is because we have a wrong perception about what it means to be “righteous”. We have believed that God is pleased with us only when we behave in a righteous manner. 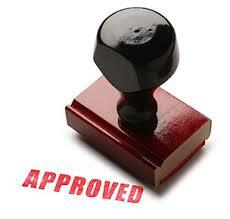 On the other hand, when we sin, we often believe that we are at risk of losing God’s stamp of approval. This causes so many people to believe that they could never be qualified by God to do anything of significance. Hence, they give up on themselves, on God, and on their dreams. Abraham was not deemed righteous because he had a stellar behavioral track record. He was considered righteous because he BELIEVED in the God who is connected to Jesus. Period. The Greek word for “righteous” is “dikaiosýnē”, which means “the approval of God”, or ”divine approval”. As verse 24 promises, you too are considered righteous before God if you simply believe in Jesus. By no means am I saying that sin is okay – it’s not. But our sin does not disqualify us from God’s love, support or blessing. For as by one man’s disobedience many were made sinners, so also by one Man’s obedience many will be made righteous (Romans 5:19, NKJV). By Jesus’ sacrifice on the cross, you have been MADE righteous. No person or no act of sin can take that away from you. You have God’s stamp of approval. He has qualified you to accomplish great things. So have confidence that you can do anything, with Him on your side! This entry was posted in Coaching on April 12, 2015 by kHHz9uqIE4UG. What is your life purpose? Chances are that no matter what your dream is – whether it is starting your own business, going back to school to begin a new career, or starting a ministry, going after your dreams will require a key ingredient …risk! It would nice if we were able to experience great change without risk. But the fact is, very rarely do we reach our life purpose without risk being a part of the picture. And, risk, my friend, takes great courage! 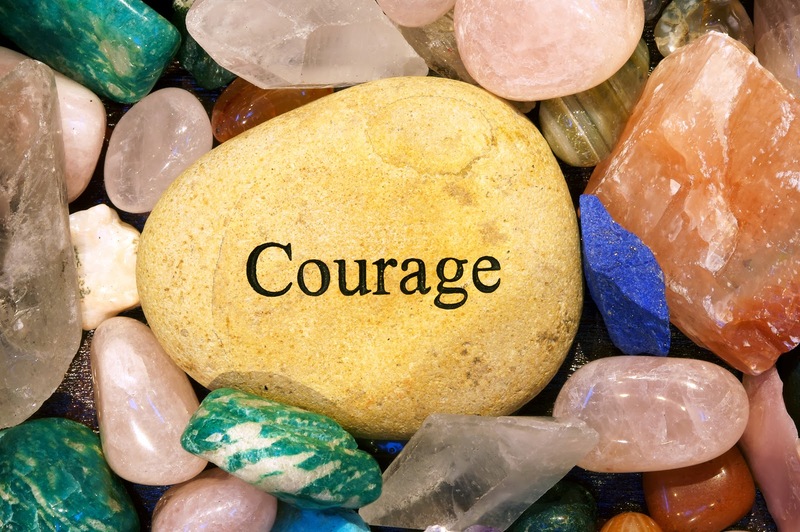 Esther, a courageous woman of the Bible, found herself in a precarious position that demanded her to take a great risk. During Esther’s reign as queen of a region, she uncovered an evil man’s scheme to annihilate the Jewish people. Esther realized that as queen, she was the only person who had any chance of influencing the king to change the decree, allowing her people to live. However, there was one small catch; the law stated that anyone who dared to go before the king without his consent would instantly be killed – and that included the queen! Esther had two choices: She could continue on with “life as usual”. After all, she must have thought, she was the queen – surely the king would spare her life! She could choose to mind her own business, and continue to live “the good life”. What risks might you face in order to bring about this change? Are you willing to move outside of your comfort zone to bring about change? It’s okay to be honest. Create a plan that will bring about the change you want. Remember, if your plan does not involve risk or discomfort, then your goal may not be big enough! Like Esther, share your plan with someone. Ask them to help hold you accountable for results. This entry was posted in Coaching on April 6, 2015 by kHHz9uqIE4UG.